The scale of foreign direct investment (FDI) varies with countries, and culture is becoming one of the important factors. This paper uses five cultural dimensions proposed by Hofstede, and analyzes their effects on FDI scale. The results indicate that the higher the scores of individualism index and long-term orientation index are, the larger the scale of FDI is. The effects of power distance index and uncertainty avoidance index depend on score disparity between home country and host country, and the disparity and FDI is negative correlation. To verify the empirical analysis, this paper uses FDI data to establish a regression model. When analyze the effects of the similarity of power distance index and uncertainty avoidance index, China is set to be the host country. The results of empirical analysis and regression analysis are basically the same, but the effect of the similarity of uncertainty avoidance index is different. That is to say, in regression analysis, the bigger the difference between host country and home country on the score of uncertainty avoidance index, the larger the FDI scale is. Hofstede, G. and Hofstede, G.J. (2004) Culture and Organization: Software of the Mind. McGraw-Hill. Trompenaars, F. (1997) Riding the Waves of Culture. Nicholas Brealey Publishing Ltd.
 House, R.J., Hanges, P.J., Javidan, M., Dorfman, P.W. and Gupta, V. (2004) Culture, Leadership and Organizations: The GLOBE Study of 62 Societies. Sage Publications, Thousand Oaks. Mac-Dermott, R. and Mornah, D. (2015) The Role of Culture in Foreign Direct Investment and Trade: Expectations from the GLOBE Dimension of Culture. Open Journal of Business and Management, 3, 63-74. 辉侠, 董超, 冯宗宪. 文化因素对流入中国的外商直接投资的影响——基于引力模型的实证分析[J]. 郑州大学学报, 2007(1): 79-82. 黄艳艳. 文化对外商直接投资的影响分析[D]: [硕士学位论文]. 长沙: 湖南大学. 殷华方, 鲁明泓. 文化距离和国际直接投资流向: S型曲线假说[J]. 南方经济, 2011(1): 26-38. 易江玲, 陈传明. 心里距离测量和中国的国际直接投资——基于缘分视角的分析[J]. 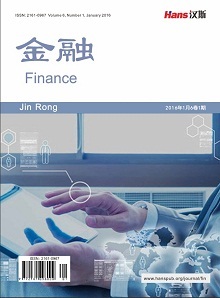 国际贸易问题, 2014: 123- 132. 周经, 张利敏. 制度距离、强效制度环境与中国跨国企业对外投资模式选择[J]. 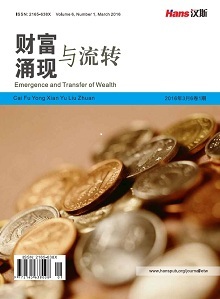 国际贸易问题, 2014(11): 99-108. 冀相豹. 中国对外直接投资影响因素分析——基于制度的视角[J]. 国际贸易问题, 2014(9): 98-108. 孙炎林, 胡松. 文化和地理因素对中国外商直接投资的影响[J]. 国际贸易问题, 2004(10),: 60-64. Kough, B. and Singh, H. (1988) The Effect of National Culture on the Choice of Entry Mode. Journal of International Business Study, 19, 411-432.